1. As you’re reading this I”m flying to Orlando! Yay! I’m headed off for four days of classes and workshop with the best in the industry at the Collins Rep show. I’m excited – the show in Houston last year was fabulous so I know what to anticipate this year and it makes me even more eager to be there! 2. 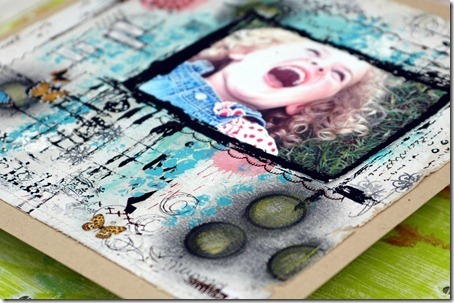 Aussie Scrap Source has a great tutorial on altering pictures with paint. I definitely have to try out the first technique, the sample looks amazing! 3. 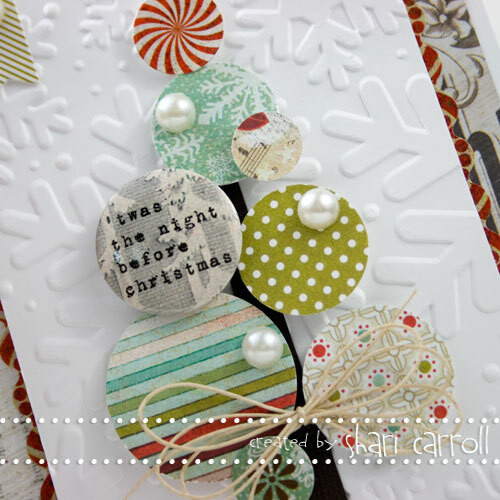 I love this card by Shari Carroll. It looks fabulous and is so easy! I took a Hero Arts class from her in Houston last year and she and Jennifer McGuire were amazing! Unfortunately, neither are there this year but I’m sure the HA teachers will live up to my expectations! 4. Julie Fei-Fan Balzer is up to her creative genius again! 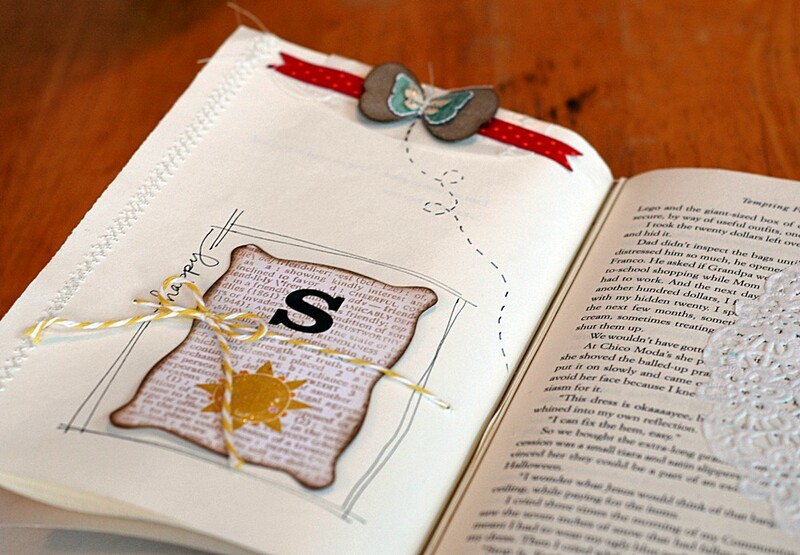 She has an awesome tutorial on how to make your own vellum leaves – a must try! I’ll be away from blog land until late next week but look for a full post then about the Collins Rep Show! 1. I just signed up for this. 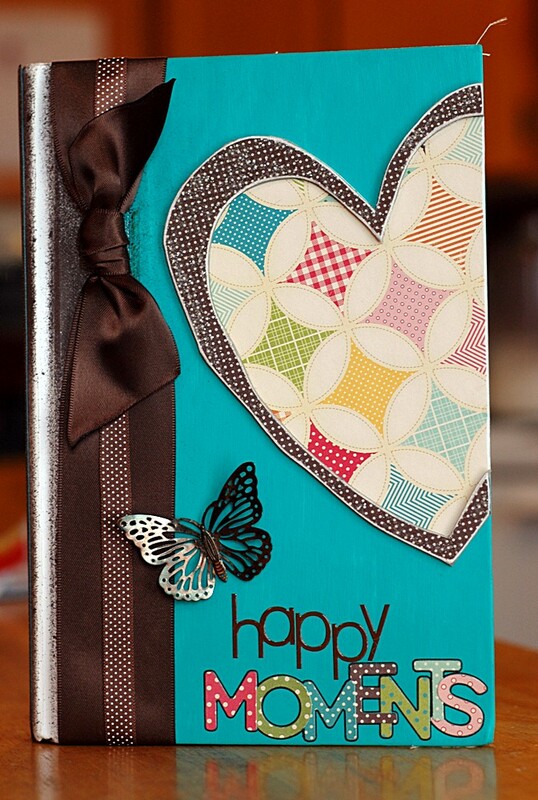 Love the idea of a cute finished sampler and for $10 it’s a steal! I believe this discounted price (regular cost is $20) expires today so jump on it if you want to join in! 2. Looking forward to this online class as well – Online Card Classes have the best instructors, videos, and samples so I know it’s going to be a good one! 3. 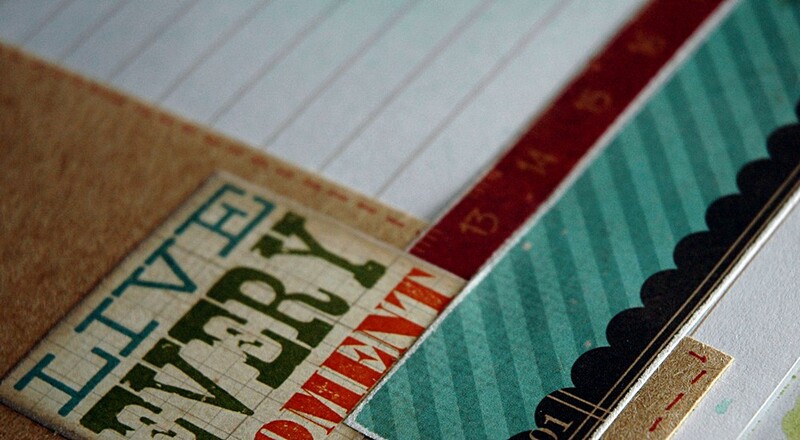 I am still really, really loving Index Card A Day (ICAD). 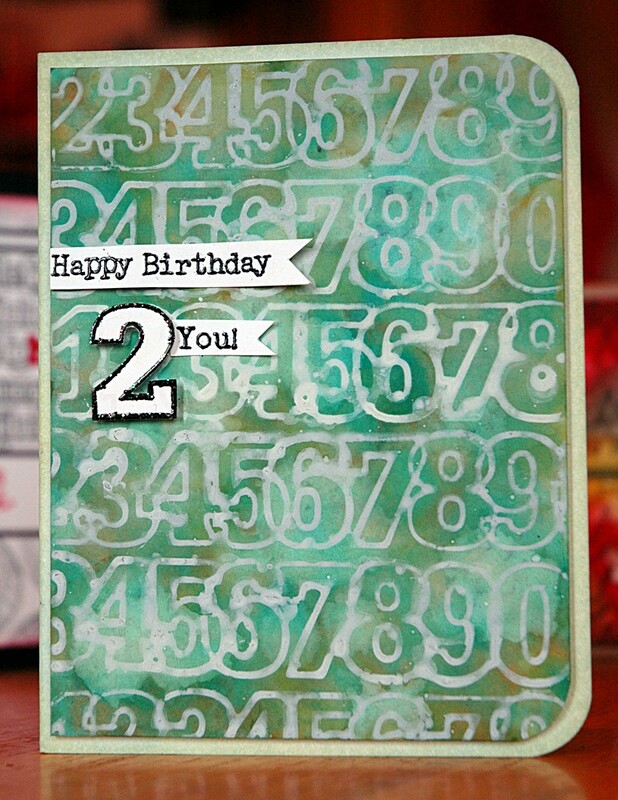 21 days in and I’ve done a card everyday – no catchup needed….yet! I love just getting to play and try new things and I love the size of the canvas. If you haven’t played along you can start anytime, no pressure. 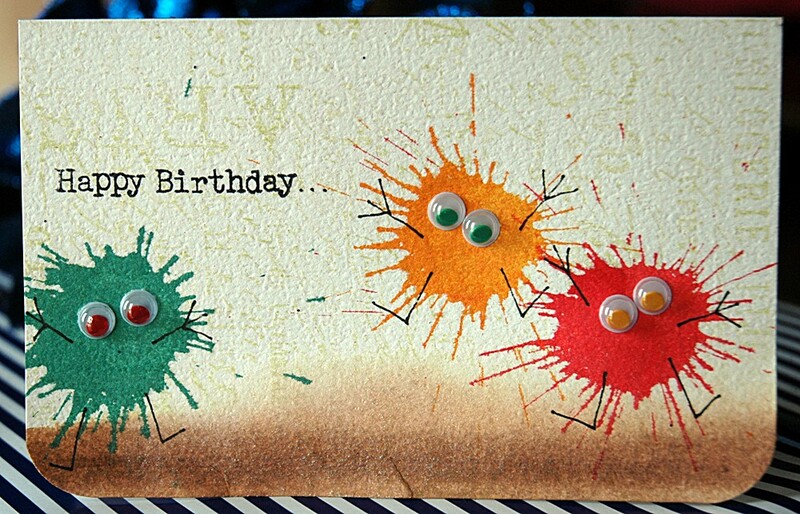 And the Flickr group is full of inspiration and amazing cards. I have to say thanks to Tammy for all the work she does organizing this and keeping everyone motivated – she rocks! P.S. 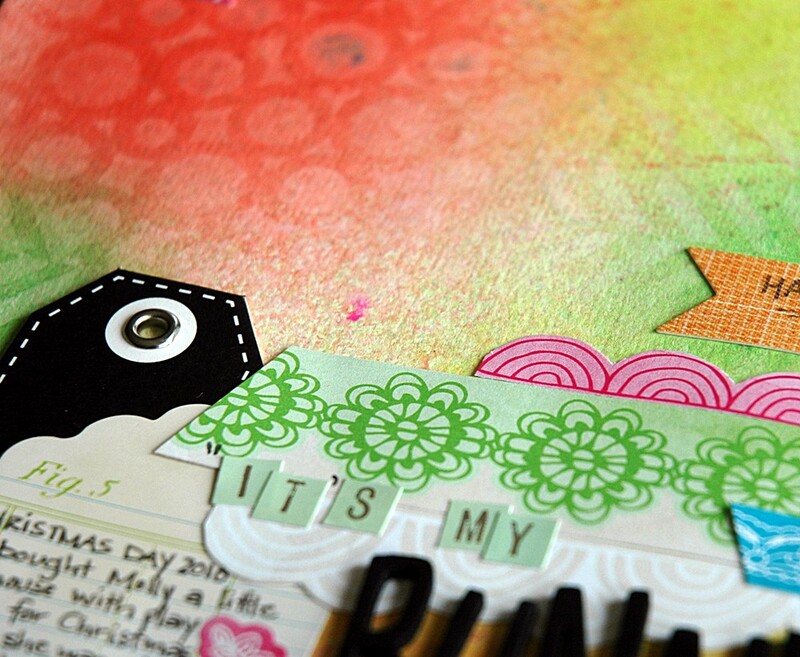 You can see all my ICAD posts here and all my cards (and M’s cards) here. 6. I have another 2012 Yearlong Album Class this weekend and we’ll being doing the next two months. Here’s a sneak of July! 7. 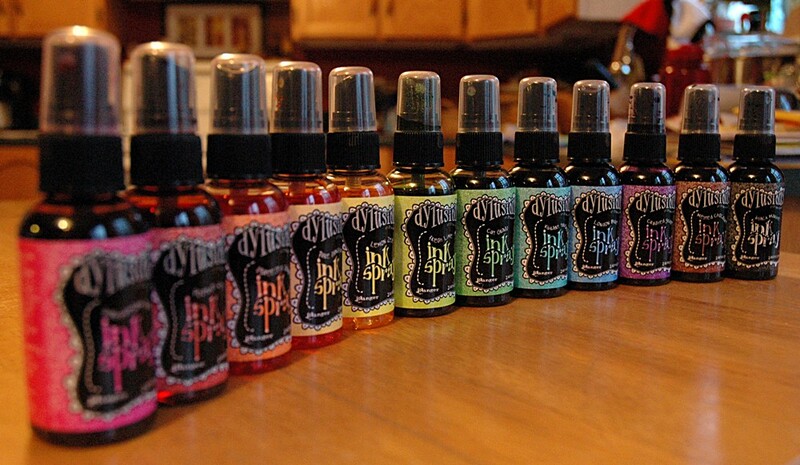 I have a blog post going live on The Paperie website today; my pick are Dylusions Ink Sprays! Here’s a snippet of the finished LO you’ll see over there! 8. Having dinner and a fire with my dad tonight and there will be extra little kiddies for mine to play with – fun! 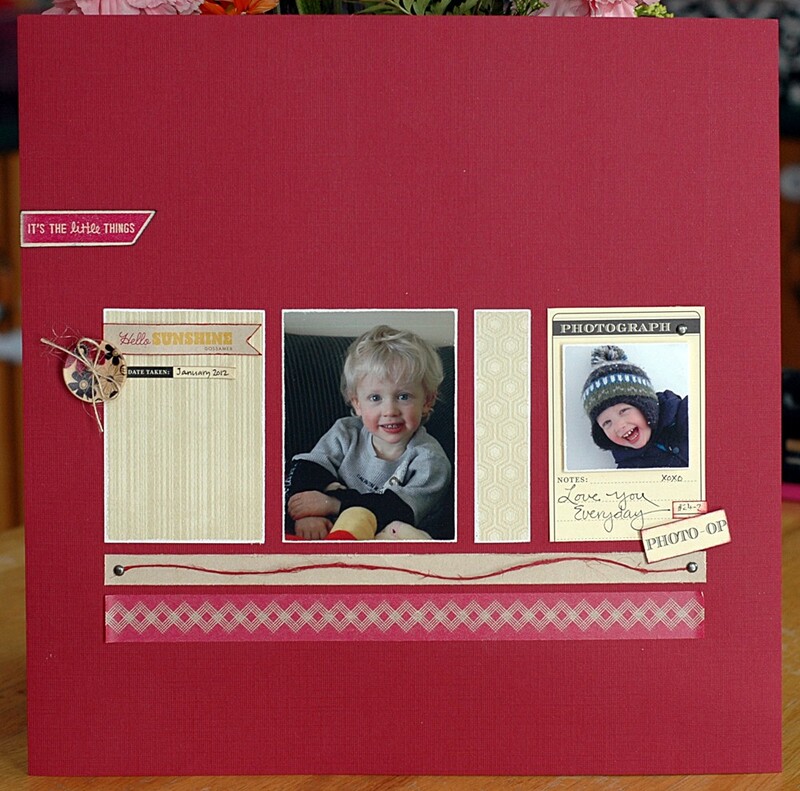 M has done the last couple of days with me and her cards are getting rave reviews in the Flickr Gallery! 2. I am not a cola fan. As a matter of fact, I am not a soft drink fan. Or a caffeine fan. I digress! I am not a cola fan, but…this is pretty awesome! yelling, “3, 4, 6, 8! 3, 4, 6, 8!” I’m pretty sure he meant 2, 4, 6, 8 but hey, it’s close for a 3-year-old! 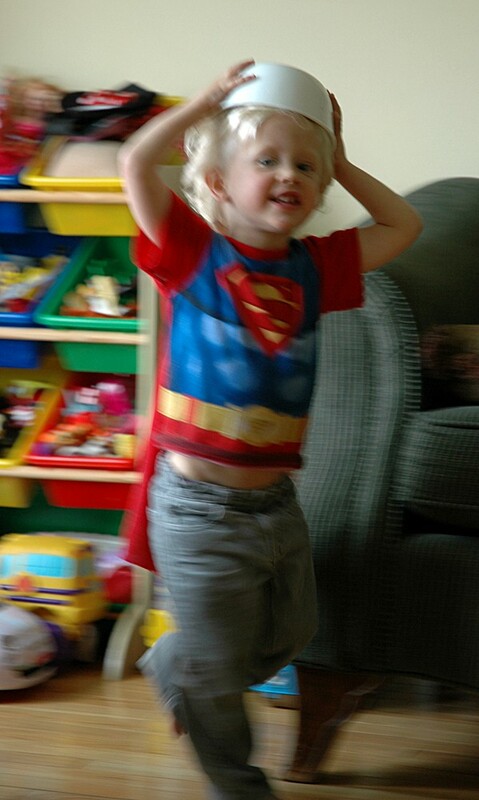 And don’t ask about the bowl, I guess it was necessary for a counting Superman wannabe! Sorry for the very blurry pic, he thought it was a fun game to run whenever I picked up the camera! 4. 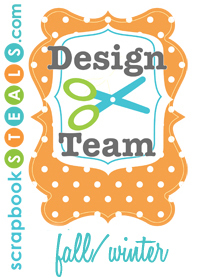 I spent part of today making tags for this class and discovering a fun new technique – I can’t wait to share! 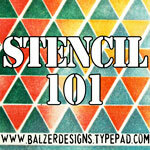 If you have Distress Markers, or want to know more about them, come to The Paperie on Wednesday for 10 technique tags – it’s going to be fun! 5. I bought 4 of these for the kiddies today – M wants the bunny but I couldn’t find it and got tired of feeling up the packages! 🙂 If anyone finds one and wants to pass it along, that would be awesome! 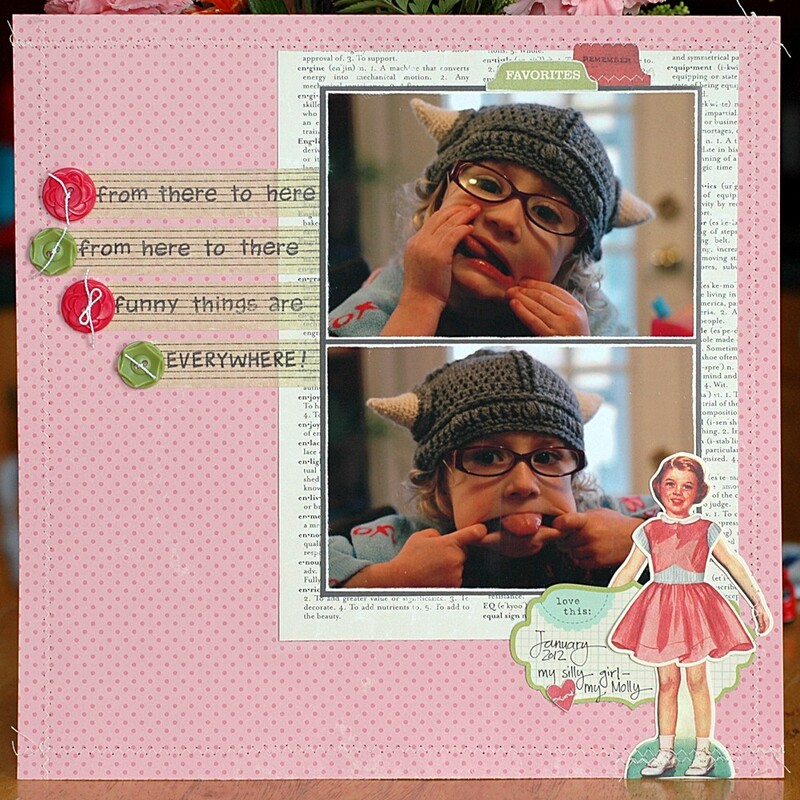 Check later this evening for a new ICAD, including one by Miss M! Thanks to Peggy for the pics while I was demoing! And a side note: see that girl in blue, leaning on her elbows? 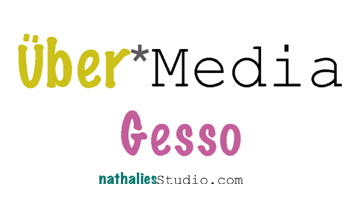 That’s Colleen – go check out her blog too, she’s pretty awesome! 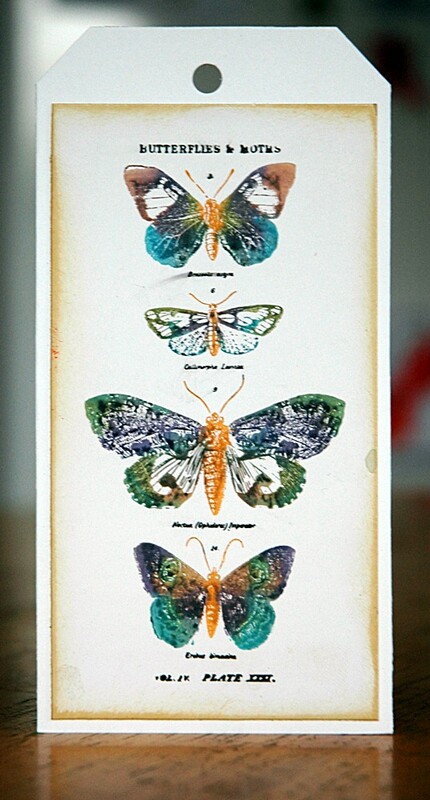 Anyway, a very special and exciting product came in right as The Paperie girls were packing for the retreat, so they brought it out to sell and asked me to demo that too! 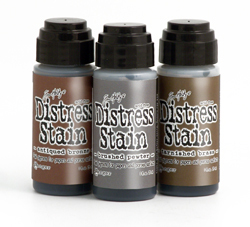 The Dylusions Ink Spray from Ranger! Seriously though, the colours are unlike anything else I’ve tried, and Ranger has perfected their misting bottles – from Dylusions to Perfect Pearls Mists to Adirondack Color Wash, they spray beautifully, never clog or leak, and just simply work right. Graham, I wish you were here – you and I could have a fun and messy blast with these babies! 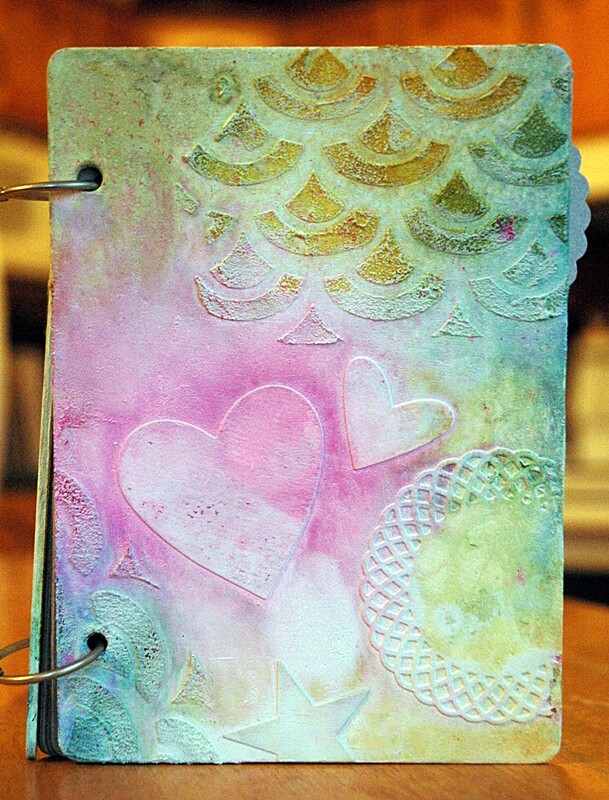 The colours look fairly muted and pastel here, but that’s because I kept blotting and drying the cover. When the mists were originally sprayed, they were super bright and intense – maybe I’ll try to put together a blog post showing them. 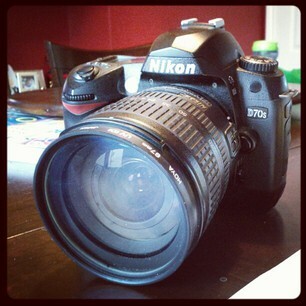 Even without my newfound love in hand, the weekend was amazing! 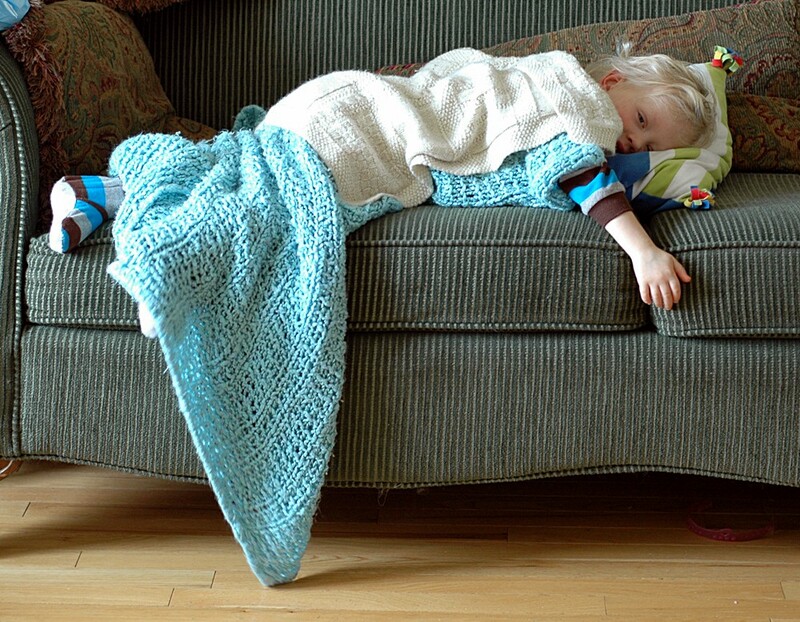 I did crash today – thank goodness for nap time! – and I have a feeling tonight will be an early one as well. 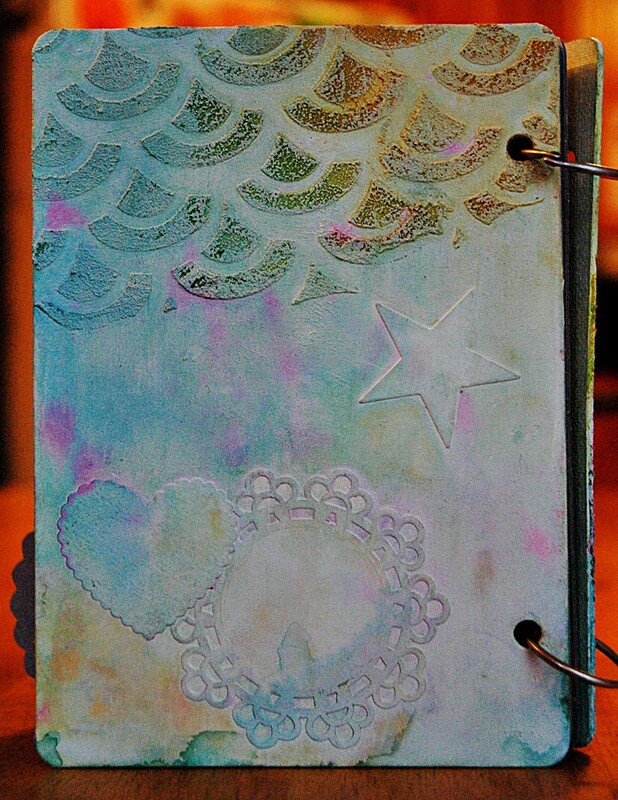 I’ll be back tomorrow with a new Tuesday Techniques Series – I hope you all want to learn about fun things to do with dry embossing! 1. I’m sick. Temp, head cold, fatigue, blah. 2. The kids are sick but getting better. We didn’t know if G was going to pull through yesterday – he was really pathetic! But he’s (mostly) back to his bad self today. He spent the entire day and night like this! And M is still feeling just sick enough to be the Queen of Whiny but is ok every other way. I really wish they were a little less energetic today! 3. My parents are the best. Mom was here all day yesterday and most of another day this week, and Dad was here most of today. I would have lost it without them this week of sickness. 4. 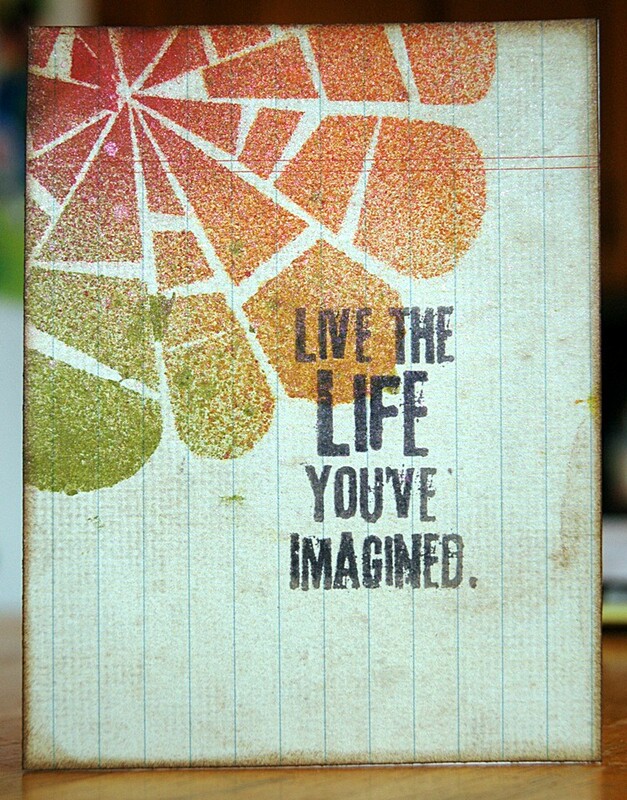 I have a blog post going up for The Paperie tomorrow – check it out! 5. Can I have a bed now please? I was shocked to scroll through my reader feeds this morning and discover this on the Lawn Fawn blog (check out the 4th one down!). M was also very excited to see her picture suddenly pop up! Thanks for the love, Lawn Fawn, you made our day! 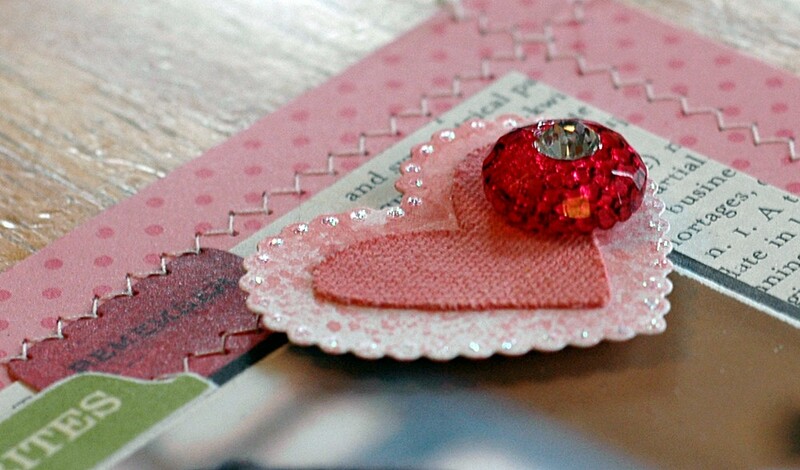 Today I thought I’d post a couple of things that I’ve only given you sneak peeks of before! This is a LO I showed just a corner of a short time ago. 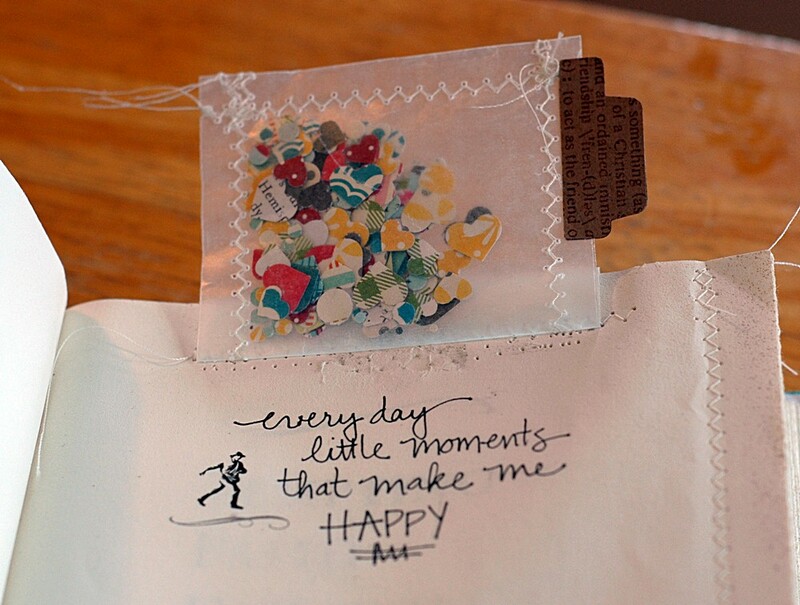 I couldn’t post the whole thing since it had some of The Paperie’s March kit in it. Now that the kit has been released, here’s the full view! This pic of M and I was taken during one of our monthly family photo shoots last year. So this year, we took one in January, we’ll probably do a fall one, and we’ll take another in December. That’s it – 3 meltdown photoshoots rather than 12! 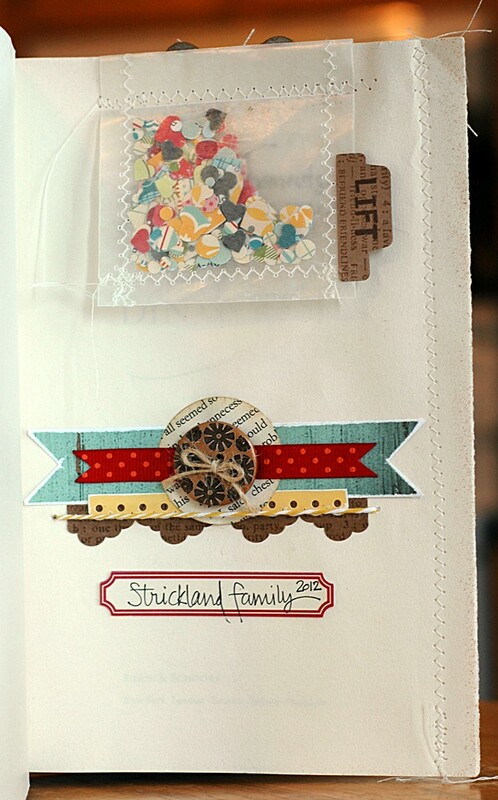 I love the My Mind’s Eye stamp set that’s included in the kit this month – fun, detailed, and a little something for everyone. 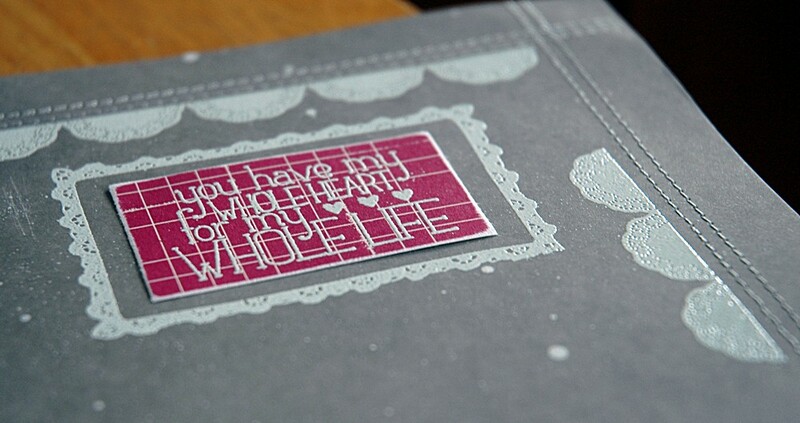 Plus, the stamps look awesome when they’re heat embossed! 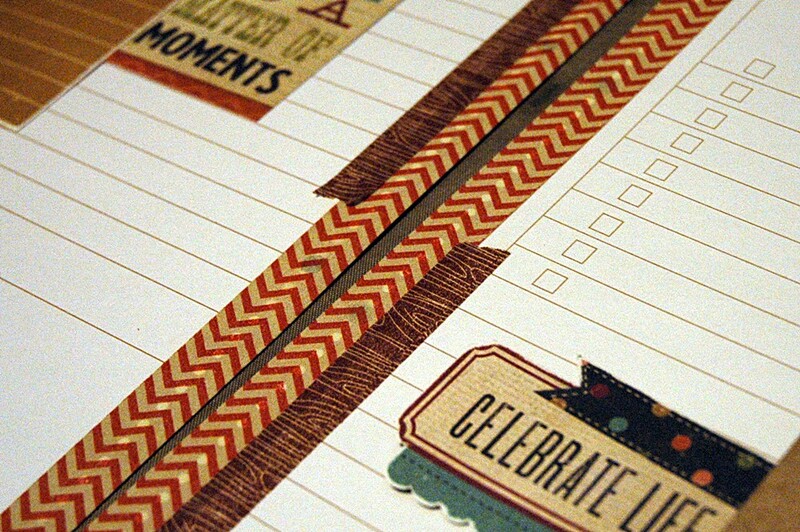 And now, finally, a couple of pics of my Happy Little Moments album that I’m doing through Studio Calico. I haven’t had much time to work on it, and there’s no pictures in it yet, but I like how it’s coming along. I think I’m going to add some of my favourite pictures rather than pictures of a certain event or time. I haven’t decided yet if I’ll do one for M and one for G – still going back and forth on that one! I’m still debating the cover – it needs something more but I can’t figure out what. 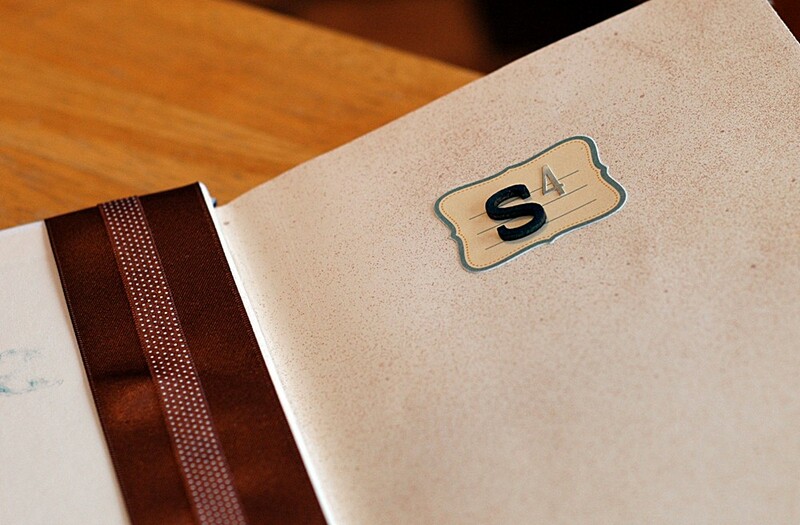 I snagged an idea from Ali Edwards here – the “S” for Strickland and the “4” for the four of us. The thing I’ve really enjoyed with this is the stitching – my mom is going to have to pry the sewing machine away from me and I’m afraid that’s going to happen sooner than later since she needs to make curtains! 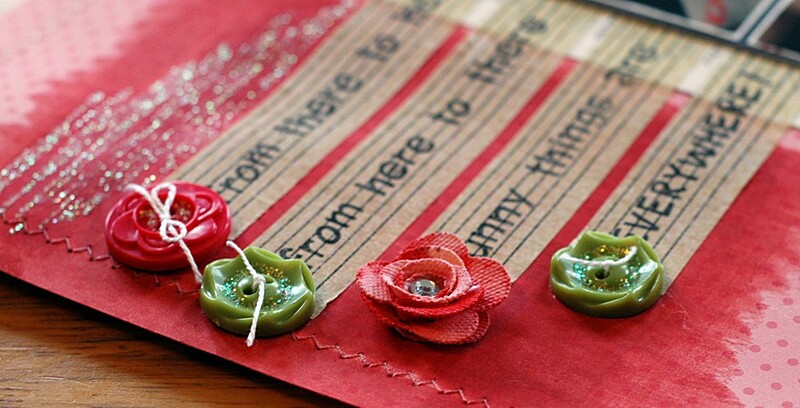 I made the little glassine pocket myself from wax paper and love how the wide zig zag stitch is looking on the pages. And I really love the messy look when the strings are not trimmed. 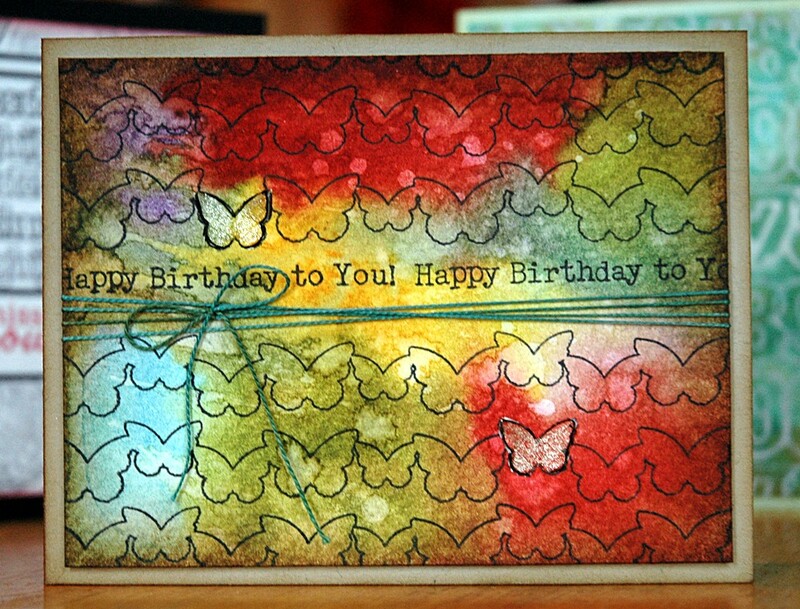 I stitched through the butterfly here – used Grungepaper so it wouldn’t tear so easily – and used the strings for antenna. 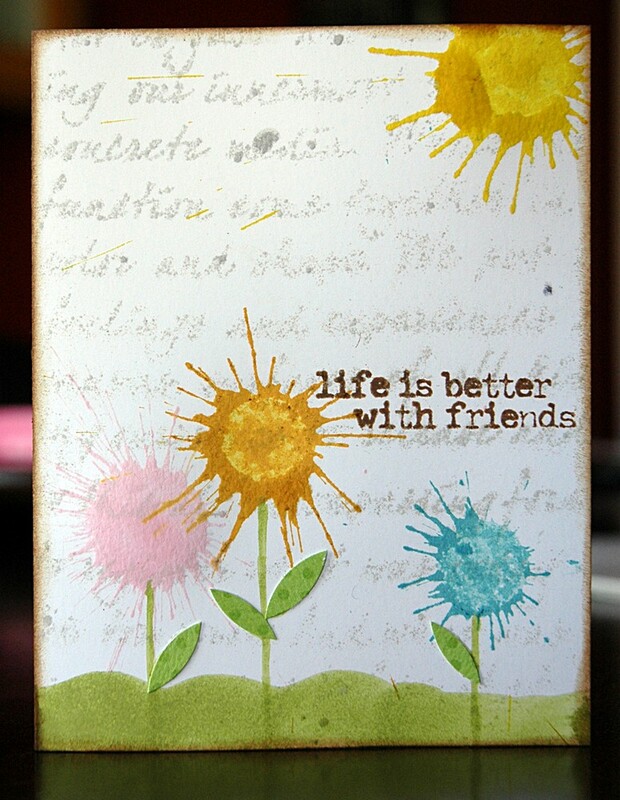 The sunshine flash card is an old one I got in an alphabet pack on clearance – perfect for this book. Tonight, I’m hitting crop night at The Paperie and I. Can’t. Wait. 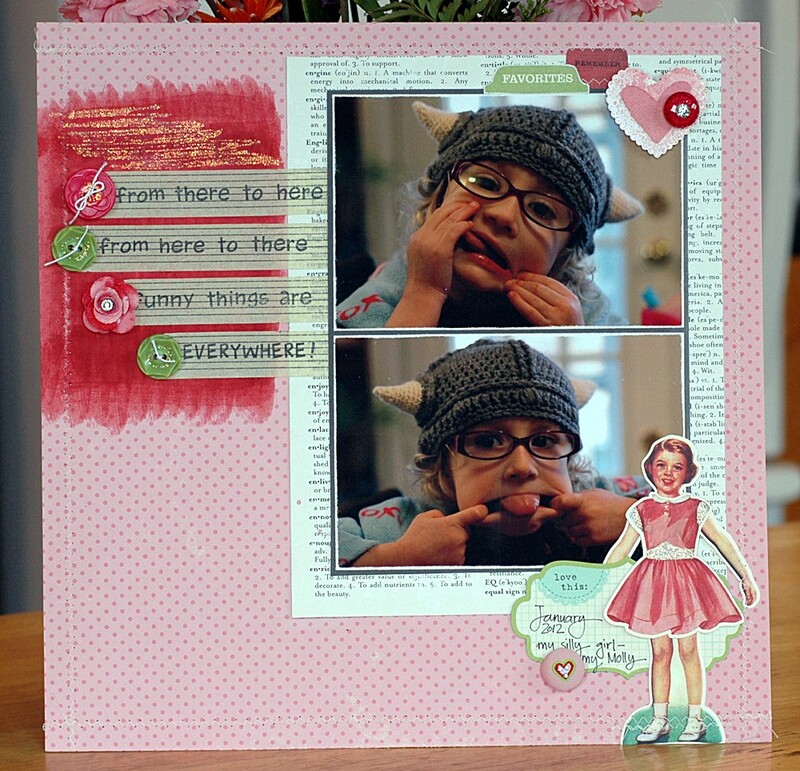 Think I’m going to do a Dr. Suess LO – both Studio Calico and October Afternoon have posted that as a challenge this week and I think it will be a fun one to take part in. Hopefully it goes well and I’ll have another LO to show you on Monday! Have great weekend, whatever it is you’re doing! 1. 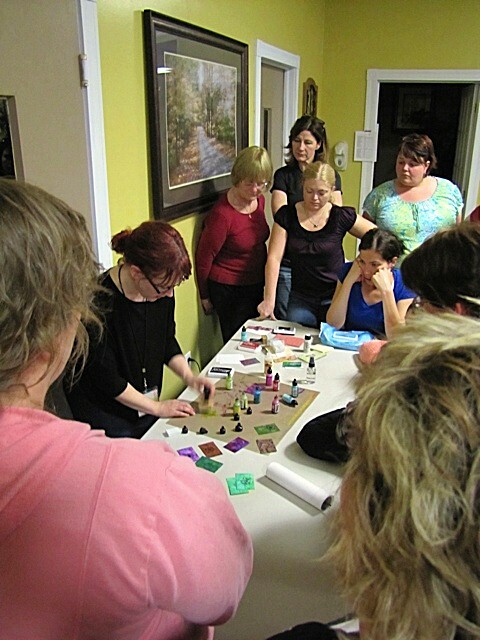 Looking forward to playing with my friends tomorrow night at The Paperie crop night – fun, laughing, scrapping, and food! 2. 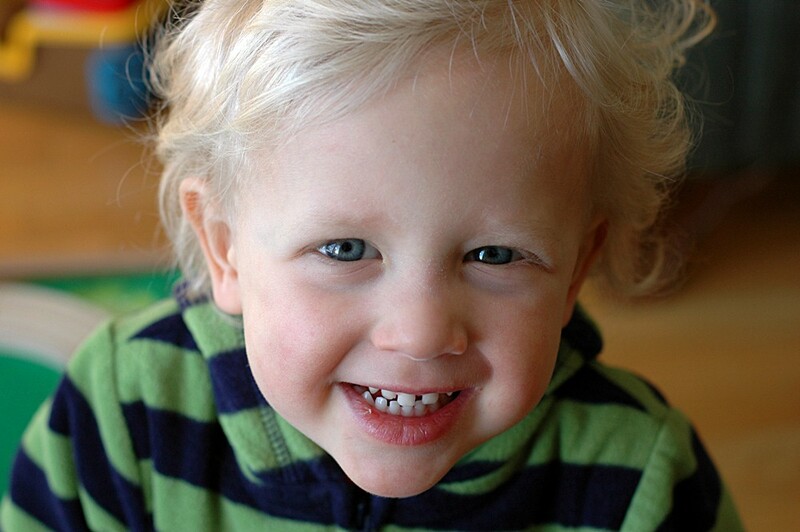 He may be a devil, but he’s my devil – and a cute one! 4. Watched American Idol last night – yes, it’s my guilty pleasure! At least this year I have a decent bunch to listen to. Last night, Joshua Ledet. Yup. That’s all I have to say. 5. I’ve been taking a Photo a Day since my birthday and it’s fun to take (usually) bad pics with my phone and an app called Camera360. Yesterday the prompt was Clouds. 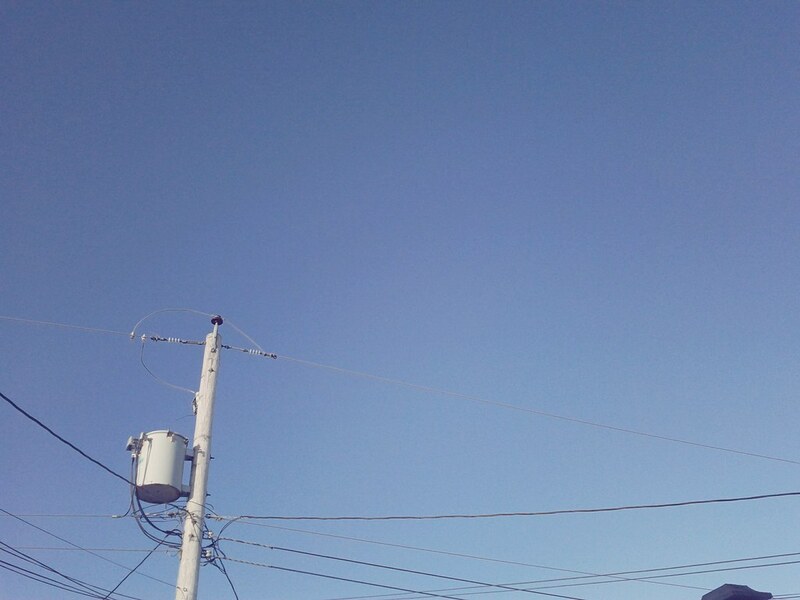 This is Newfoundland people, clouds are no problem. 6. The cold snap we’re having needs to stop. The kids are going insane being barred up in the house and so, of course, am I! Right now, they’re running as fast as they can (because they’re cars) around the living room, down the hall, through the kitchen, around the island, and back again. I’m pretty certain there will be tears before it’s over….. UPDATE: Yay! No wipeouts, no tears!